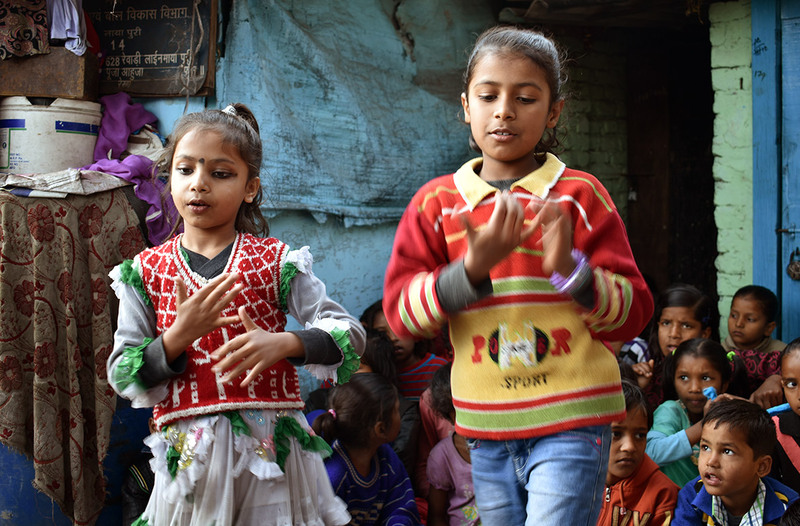 CMF provides a child sponsorship program in densely-populated city in the state of Uttar Pradesh. An influx of migrants into the city has created massive slums. Most parents are minimum wage earners, daily laborers and street vendors. Placing their children in school is financially impossible. Many parents send their children out to pick up rags or beg for extra income for the family. 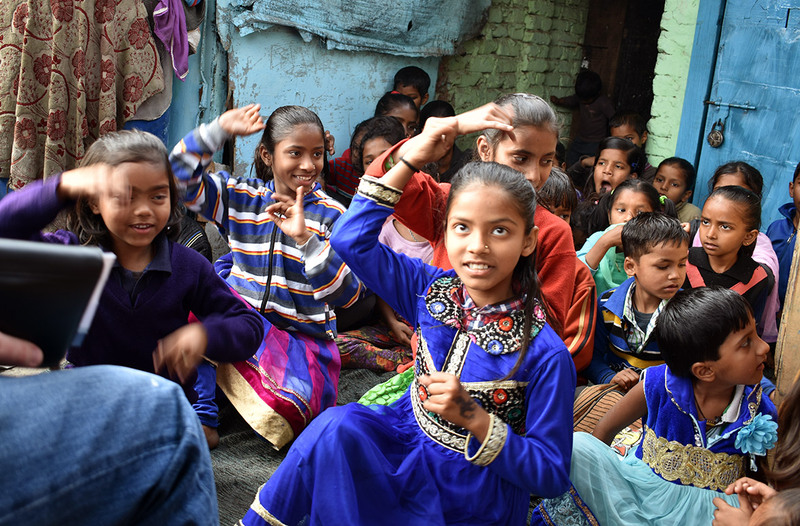 CMF partners in India with Asian Partners International, an organization that works among underserved groups in limited access countries. Child sponsorship is a tool that CMF and API use to liberate the community, families and children by providing basic education and holistic transformation. Sponsored children receive one meal each weekday, school fees and supplies to attend a private school, and monthly health screenings with minor treatments and hygiene supplies. During the daily meals they will also take part in physical and spiritual development programming that includes songs, stories and dramas. May I write a letter? Writing letters shows that you care about your sponsored child and want to encourage his/her development. What can I say in my letter? • Describe the members of your family. • Discuss your favorite activities, hobbies, and sports. • Briefly tell what you do at work, church, or school. • Talk about your relationship with Jesus Christ. • Provide a general description of where you live (no specific address). Tell them about the climate and land type. • Ask your child the same types of questions about what they like to do, where they live, and what they are learning in school. May I send a picture of my family? Use a neutral background such as greenery or a blank wall. Please do not include material items such as cars, your home, toys, or other possessions. What kind of letters and gifts may I send to my child? You may send a 6”x9” or smaller envelope at various times throughout the year (send no more than 2 envelopes at a time). Please do not send a large package to your child. Note to sponsors of children in Brazil: Please send letters only to your child; do not send gifts. Due to customs regulations, they will not receive them. Please do not send a letter or gift bigger than a 6”x9” envelope or it will be held in customs. If items are too large or look like they contain valuables, they will be held in customs until a fee is paid. Families do not have extra money to get packages out of customs, so any package held there will never reach your child. What small items can I send to my sponsored child? • Family pictures, matchbox toy cars, crayons, colored pencils, pens, stickers, small note pads, hair clips, jewelry, and small, thin books – activity coloring books, devotional books and Bibles. • Family pictures, colored pencils, pens, small note pads, hair clips, jewelry, and also small thin books – devotional books and Bibles. What items should I NOT send to my sponsored child? • Toys or stickers that depict snakes, spiders, tortoises, snails, frogs, or scorpions. Please also refrain from sending stick-on tattoos of any kind. • Checks, cash, or personal contact information (email address, home address or phone number). • Plastic bags are banned in Kenya, so please do not send or bring items to your Kenyan child in ziploc or other types of plastic bags. Where do I send my envelope? 1. Place your letter in an envelope with the child’s name and ID number written on it. Do not write your personal contact information/return address on this envelope. 2. Place this envelope into another 6” x 9” envelope (or a 6 1/2” x 9 1/2” envelope is okay) addressed to the location listed on your community card. As an alternative, you may also wrap the first envelope in brown shipping paper and write the address on the outside of the paper. 3. Place your return address on the outer envelope/shipping paper (international mailing requirements). Check with your Post Office for the official weight and International Postage Rates. Do not send as priority, express, certified, or flat rate. If you are required to fill out a customs form, it is important to indicate that the contents of the package have zero (0) commercial value. Do not send letters/gifts for your sponsored child to CMF International’s US office. How long will it take my letter to reach my child? Allow 6 to 8 weeks for mailed items to reach your child. How will I know that my child received my letter/gift? Each child who receives a gift will write a thank you note to his/her sponsor. Please note that it could be several months before you will receive a thank you card in the mail. Will I be updated on my child? Your child should write to you at least once a year to let you know what is going on in his/her life. In addition, CMF will notify sponsors any time we are made aware of a major event that occurs in the life of your child. You can also receive ministry updates for the program your child is in through our child sponsorship newsletter. 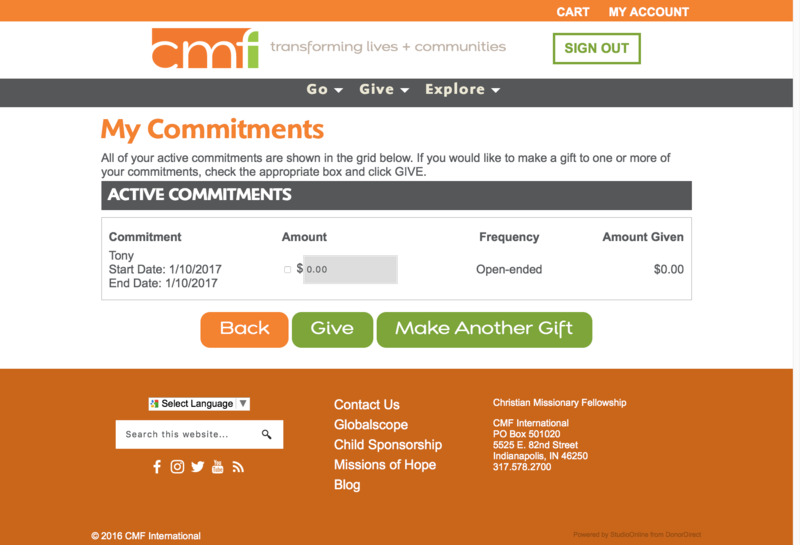 You can sign up to receive these updates by visiting cmfi.org/signup. Send a smile around the world! Your letters are the lifeline between you and your sponsored child. Although your financial gifts are important, the personal connection and relationship you build through your letters means the world to your child. PLEASE NOTE: Letters and gifts that do not follow these guidelines and contain culturally inappropriate subjects or items will NOT be passed along to your child. Check this guide carefully before writing or sending a gift to your child. Thank you for understanding. Write often! Short, encouraging notes are greatly appreciated. Send a photo of you and your family in front of a neutral background. Do not include your home, car, boat, vacation site, or anything that depicts wealth. Avoid wearing swimsuits or revealing clothing in your photos. Be sensitive to the environment in which your child lives. Please avoid making statements such as, “I hope to meet you one day.” This could create disappointment if you aren’t able to follow through. Field teams do their best to pass on letters and gifts as quickly as possible, but we cannot guarantee that all sent items will reach the field. Please do not ask your child if he/she received previous letters or gifts. Write clearly in simple sentences. Avoid slang or cultural references that may not be understood outside American culture. Jokes and humor rarely translate well. Please do not include any personal contact information such as your mailing or email address or phone number in your correspondence. When you send a gift, include a letter. The relationship is often more important than the gift. Please do not send anything larger than one 6”x9” envelope at a time. Excessive, extravagant gifts can create a dependency on handouts that will undermine the ministry. Do not ask your child for suggestions what they would like you to send to them. Please do not send cards or gifts related to holidays that are not celebrated in your child’s country, especially Halloween. Avoid gifts that depict snakes, spiders, frogs, dinosaurs, tortoises, snails or any other reptiles, and any items that depict witchcraft or wizardry, or stick-on tattoos. These items can symbolize inappropriate things in some countries. Please do not wrap your gifts with wrapping paper. They will be unwrapped prior to delivery to your child. Do not send cash, food or candy to your child. Food attracts rodents that may get to your package before your child does. You should receive a thank-you note from your child for each gift you send, but it may take up to six months. Follow these guidelines to ensure the fastest delivery to your child. Allow 6-8 weeks for your correspondence to reach him or her. It may take much longer during the Christmas season. Please send Christmas correspondence no later than the end of August. Place all items into one 6”x9” envelope. Write the child’s full name, ID number and school name on the outside of this envelope. Do NOT write a return address on this envelope! Place the first envelope into another 6”x9” envelope, or wrap the first envelope in shipping paper. Write the mailing address for your child on the outer envelope or layer of shipping paper. Include a return address. This layer will be removed by field personnel and will not be given to your child. This step protects your personal contact information from falling into the wrong hands. Check with the post office for the official weight and international postage rates. Do NOT send as priority, express, certified or flat rate. If you must fill out a customs form, indicate that the contents of the package are of minimal value; a few dollars, at the most. IMPORTANT: Please send your correspondence directly to the address provided for your child, not to CMF. Correspondence received by the CMF office in the US will be returned to the senders. Questions? Please contact the CMF office at 317.578.2700 or childsponsorship@cmfi.org. How can I reach a member of the CMF Child Sponsorship Team? When and how did CMF start sponsoring children? In what locations does CMF sponsor children? How does CMF choose locations for sponsorship? How are children selected to be part of the sponsorship program? Do children have to be Christians to be in the program? How much does it cost to sponsor a child through CMF? How much of the sponsorship fee is used for administrative expenses? What specific benefits do children receive during the time they are sponsored? Can a child have more than one sponsor? How do I get started sponsoring a child? Where can I find more information about the child(ren) I’m sponsoring? How frequently will I receive updated information about the child I’m sponsoring? What happens if my child leaves the program? How long can children be sponsored? Where can I find my child’s mailing address? How do I send something to my child? What kinds of things can I send to my child? Why can’t I send a monetary gift to my child? Why can’t I send anything larger than a 6″ x 9″ envelope to my child? Is it possible to meet my child? Why haven’t I heard from my child? Why haven’t I received a bill for my child’s support? What happens if I fall behind in supporting my child? How can I cancel my sponsorship? Where can I view my giving history? How can I get a receipt for a specific gift? How can I get an annual summary of my giving? How can I make a one-time support payment for my sponsorship? Can I setup an automatic recurring payment for my sponsorship? Why can’t I see all of my account information online? Sponsor Relations Associates are available to take your calls between 8 a.m. and 4:30 p.m. EST, Monday — Friday. Our office number is 317.578.2700. Or you may send an e-mail to childsponsorship@cmfi.org and a member of our team will respond as quickly as possible. Child sponsorship is used as one part of a holistic approach to poverty, called Community Health Evangelism (CHE). Funds received through sponsorship are used to provide for the children’s medical and spiritual needs, as well as nutritious meals. While they are also used to pay for school fees, the child’s parents are still responsible for contributing a small amount toward that cost. This is a key principle of CHE: engage the parents in community involvement and empower them to learn how to provide for themselves. Your sponsorship dollars are processed and receipted through CMF’s main offices in Indianapolis, Indiana. Our program allows for a one-on-one relationship with a sponsor, while pooling the gifts of all sponsors who support children in the same community. Funds are wired over to the respective fields on a monthly basis to cover the expenses for the children. However, sponsorship of a child is more than just financial support. We encourage sponsors to write to their children often and let them know what is happening in their lives. It is a tremendous encouragement to the children to hear from their sponsors and know that there is someone in another part of the world who loves them and prays for them. This combination of financial support and encouragement instills a sense of hope in the children, and helps them to gain a solid education. This education can open doors to college, university or trade school, where the children – now young adults – can learn critical skills in order to gain meaningful employment. With an education and a good job, the cycle of poverty is broken; as adults with their own families, they can enjoy lives transformed through the power of Christ! Christian Missionary Fellowship (CMF) was incorporated in 1949 as an evangelical missionary support organization. In the year 2000, CMF formed a new team to begin working among the urban poor in the Mathare Valley slum in Nairobi, Kenya. The team members met Wallace and Mary Kamau, Kenyan nationals and Christians, who shared a similar vision for the people of this area. In 2005, a partnership was established between CMF International in the U.S. and the Kamaus’ organization, Missions of Hope International, in Kenya. One facet of that partnership was the creation of a child sponsorship program. The program began with just 158 children going to school in a two-room, rented building in the slums. Today, the program in Nairobi has grown to 23 schools and 14,000 children! CMF International’s Child Sponsorship program has also continued to grow beyond Nairobi, and now includes children living in impoverished areas of Tanzania, Ethiopia, Ivory Coast, Brazil, Thailand, India and the Maasai and Turkana regions of Kenya. Where does CMF sponsor children? Currently, CMF has sponsorship programs in Nairobi, Kenya; the Turkana region of Kenya; the Maasai lands of Tanzania; Addis Ababa, Ethiopia; Abengourou, Ivory Coast; Pianco, Brazil; Chiang Mai, Thailand; India and the Maasai lands of Kenya. CMF child sponsorship is just one part of a holistic approach to transforming lives and communities, so CMF only begins sponsorship programs in fields where CMF team members have already been working, using the CHE strategy. We do not initiate sponsorship as a stand-alone program in a new field. The process can vary from location to location, but generally, social workers evaluate children based on their specific needs. Orphans, vulnerable children and the poorest of the poor are recruited first. Other factors, such as family situation, living conditions or siblings who are already in the program, can also have an impact on recruitment. No. Children or their families are not required to be Christians or to become Christians. However, students will participate in Christian-based programs and activities, and in some cases, children attend Christian schools. Generally, $38 per month will cover the needs of primary school children in our programs. In some fields, either $45 or $70 per month will cover the needs of students attending a boarding school. Only 12% is used to cover administrative expenses, which are essentially the costs of running the program. Without these expenses, the program would not be able to operate. The remaining 88% of funds go toward providing and maintaining safe program facilities, medical care, spiritual development, nutritious meals, and school fees, which can cover uniforms, supplies, textbooks and teacher salaries. 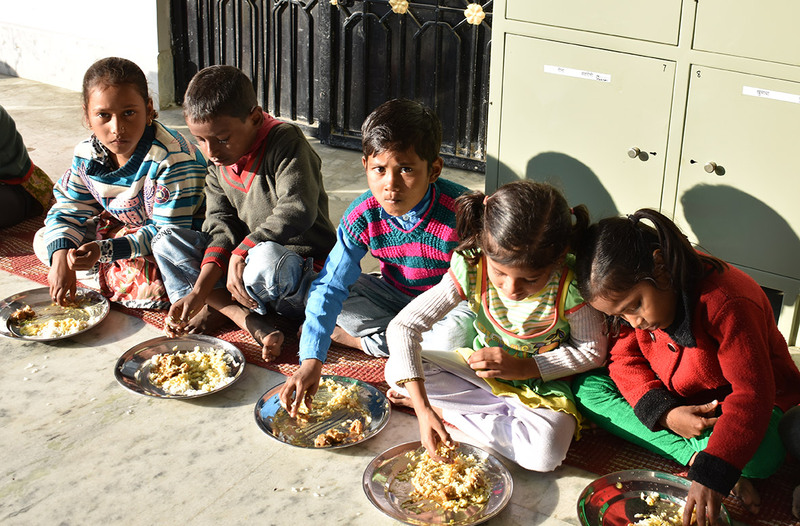 Children in our sponsorship program receive an education, nutritious meals (or nutritional supplements), medical care, and guidance in both spiritual and social development. Studies show that these children are more likely to gain a higher education and/or develop specific skills that will enable them to gain meaningful employment and rise above a life of poverty. Generally, a child can have only one sponsoring person, couple or family. We do allow relatives and/or small groups to collectively sponsor a child, but there still must be one individual selected to be the primary sponsor of record. Only the primary sponsor (or couple or family) will receive communications from and information regarding the child. Secondary sponsors will still receive their own receipts and statements for their support gifts. Once you’re ready to select a child, click here to browse profiles of children who still need a sponsor. 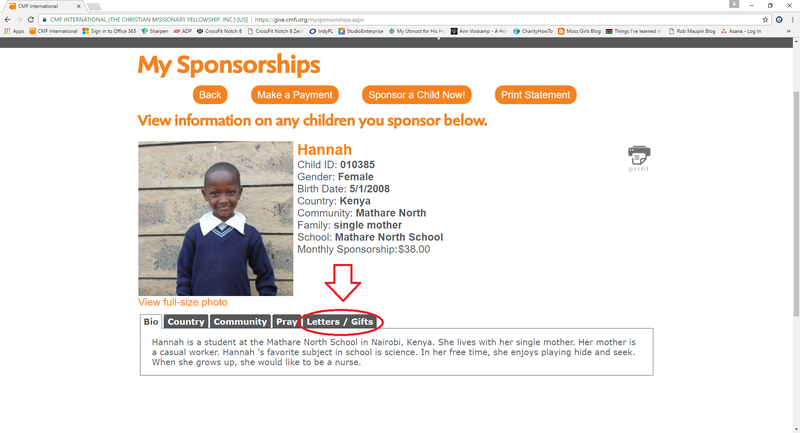 You can follow the prompts to process your sponsorship once you have chosen a child. Once your sponsorship is started you will receive a packet of information to help you in beginning a special relationship with your sponsored child. Additionally, you can engage your church through a child sponsorship event! We provide everything you need so anyone in your church can choose a child to sponsor. They can look through profile cards with pictures on-site, select a child by age and gender, then sign up to sponsor him or her. If you are interested in hosting an event, you can sign up to receive a Start! packet here. All of the information we have about your child is printed on the child’s profile card. If you’ve lost your child’s profile card or would like another one mailed to you, please contact our office at 317.578.2700 or childsponsorship@cmfi.org. You can also view your child(ren)’s profile(s) online by creating or signing into your online account. PLEASE NOTE: If creating your online account for the first time, not all account information will display immediately. It could take up to one business day to complete the setup of your new online account. Once you are logged in you can view information about your sponsored child, your donations and other information helpful in managing your sponsorship. Due to cultural differences, family issues, illness and harsh living conditions, children may stop attending school, often without any warning. While we hope that your child remains in CMF’s child sponsorship program until his or her schooling is complete, we can’t promise that your relationship with one particular child will be able to continue indefinitely. We can promise, however, that your sponsorship plants a seed of hope and faith in the heart of your child whether she attends school for one week, three months or years. And if your child leaves the program for any reason, we will let you know that information as soon as possible, and immediately provide a new child to you so you can continue to participate in the blessings of transformation. Our team makes every effort to return a child to the program if they stop attending for any reason. We give children a three-month grace period if they stop attending school. During this time, the social workers and program managers are doing everything possible to get the child back in the program. During the time that a student is not attending, your donations continue to go toward covering the costs for children in the program. If the child doesn’t return after three months, we officially remove them from the program and connect you with another child in need of sponsorship. Children in developing countries often do not start school at the same age as children in the United States, so it is hard to define a specific age range. In most cases, children can be recruited into the program as young as pre-school age and can remain in our program until graduating from high school. You can also find your child’s mailing address by creating or signing into your online account. From your main account page, click on the “View Sponsorships” button to be taken to your “My Sponsorships” page. Here, you should see the profiles of each child you sponsor. Click on the “Letters/Gifts” tab below each child to see his or her specific mailing address. Details on size restrictions and methods for mailing items to your child can be found on “How to Send Letters and Gifts“. When sending items to your child please remember to think in the context of where your child lives. Items should be simple, not extravagant. Large or expensive items may be stolen, and could put your child in harm’s way. The items below are suggestions; you cannot sent all these things at once. It’s best to send one or two items at a time. Family pictures, matchbox toy cars, crayons, colored pencils, pens, stickers, small note pads, hair clips, costume jewelry, and small, thin books, such as activity coloring books, devotional books and Bibles. Family pictures, colored pencils, pens, small note pads, hair clips, costume jewelry and also small, thin books, such as devotional books and Bibles. Please do NOT send toys or stickers that depict snakes, spiders, tortoises, snails, frogs or scorpions. Please also refrain from sending stick-on tattoos of any kind. Please do NOT send any food or candy to your child. You should NEVER send checks, cash or personal contact information (e-mail address, home address or phone number) directly to your child. If these things are sent they will not be given to your sponsored child. Please DO NOT SEND or BRING any items to your Kenyan child in ziploc or other types of plastic bags. Plastic bags are banned in Kenya. Envelopes or re-usable shopping bags are a better option. Giving money to people living in poverty reinforces a “handout” mentality and can lead to asking/begging for money in order to survive. While handouts may be of some help in the short-term, it can create a devastating dependence and does nothing to break the cycle of poverty. Our goal is to educate those living in impoverished areas and assist them in building the skills necessary to find employment and learn how to provide for themselves. Items that are large, heavy or appear to be expensive have a greater chance of being held in customs in the receiving country. Items held in customs are charged a tax or fee before they can be retrieved. Families do not have extra money to pay these fees, so any package held there will probably never reach your child. Based on feedback from our field teams and experiences of our sponsors, we have determined that envelopes that are 6″ x 9″ or smaller have the best chance of being delivered to your child. Yes! If you will be traveling to the area where your child lives and would like to arrange to meet him/her, please contact our office at least one month in advance to make arrangements. If you are traveling with a short-term mission team, please be sure to work with your team leader to plan time for meeting with your child. We understand that receiving a letter from your child is a treasured part of your sponsorship experience, and we work very hard with our field teams to facilitate that communication. While sponsors may write several times to their children, the children will write at least one letter to their sponsors at a specific time each year. Children do not necessarily respond to every letter that is sent to them from their sponsors. Sponsorship is wholly funded through donated support, so we cannot “bill” you for a donation. If you pay by check or bank bill pay, we will send you a receipt for your gift. At the bottom of your receipt is a coupon that you can use to send in with your next donation. If a donation is missed during a particular month, you will NOT receive a receipt with a return coupon for that month. We understand that life gets busy and details can sometimes be overlooked. We will attempt to reach you regarding any missed support. We are happy to work with you on options to get caught up so that you can maintain the special relationship you have hopefully established with your sponsored child. The success of our program depends upon our sponsors maintaining their commitments. If support for your child does not come in for more than three consecutive months and all of our attempts to contact you during that time go unanswered, your sponsorship will automatically be cancelled so that we can work to find a new sponsor to support the child. To cancel your sponsorship please call our office at 317.578.2700 or email childsponsorship@cmfi.org. We will need your name, donor ID number, your child’s name and child’s ID number. 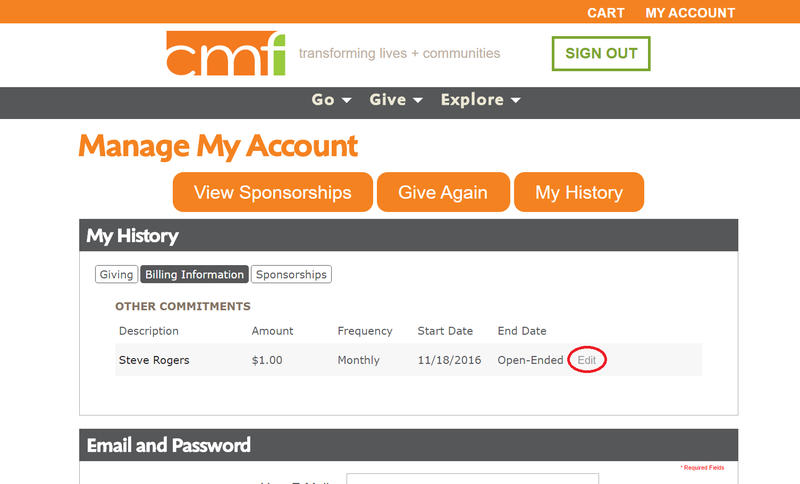 Once you have created an online account, click the orange “My History” button on your main page to view all of your past donations. You may use the drop-down menu to adjust how many donations to show on each page, and/or scroll through each page by clicking on the page number or “Next” at the bottom of the current page. You may also call our office at 317.578.2700 to request that a printed giving statement be mailed to you. Once you have created an online account, click the orange “My History” button on your main page. Here, you can view all of your past donations and print receipts for specific gifts. Simply click on the “Receipt” button next to the gift for which you would like a receipt. You may print or e-mail the receipt by clicking on the appropriate button at the bottom of the window that opens. You may also call our office at 317.578.2700 to request a printed receipt for a specific gift be mailed to you. Once you have created an online account, click on the orange “My History” button on your main page. At the bottom of the window click the “Print Statement” button. Enter the starting and ending dates of the range for which you would like to view your giving and click the “go” button. You may print or e-mail the giving statement by clicking on the appropriate button at the bottom of the window that opens. You will receive a year-end giving statement for tax purposes in January for the previous year’s giving. How can I make a one-time donation for my sponsorship? One-time payments may be made online or by phone at 317.578.2700. From your main account page, click on the “Give Again” button near the top of the page just below the “Manage your account” heading. Under the “Active Commitments” heading, click the checkbox next to the amount for each commitment you want to give toward. You cannot edit the amount to give until the next page; to proceed, click the green “Give” button. Edit the amount you would like to give, if needed, and when ready to check out, click the green “Continue Checkout” button from your cart and follow the on-screen instructions to complete the transaction. You can access your cart at any time by clicking the “cart” link in the orange bar at the very top of the webpage. Can I setup an automatic recurring donation for my sponsorship? Yes! Automatic payments may be setup online or by calling our office at 317.578.2700. From your main accounts page, go to “My History” and click on the “Billing Information” tab. Under “Other Commitments” next to your child’s name, click “Edit.” Start by completing the amount, frequency and start date; do not put an end date. Then, click on “Auto Pay” to fill in your payment information and click ok to finish. If you have just set up your online account, please note that it can sometimes take up to one business day to complete the setup of your new online account. Once setup is complete, you should be able to see your past giving history and information on any children you sponsor. If you continue to experience problems viewing information through your online account after a full business day has passed, please contact our office at 317.578.2700 or childsponsorship@cmfi.org for assistance.